Delacorte Books for Young Readers, 9780385736817, 320pp. In Mary's world there are simple truths. 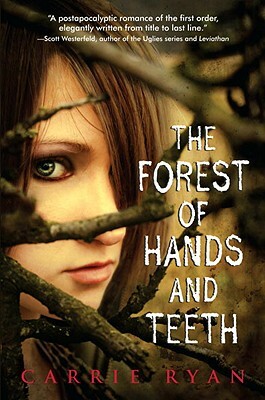 CARRIE RYAN is the "New York Times" bestselling author of The Forest of Hands and Teeth trilogy that includes The Forest of Hands and Teeth, The Dead-Tossed Waves, The Dark and Hollow Places, and the original ebook Hare Moon. She has edited the short story anthology Foretold: 14 Stories of Prophecy and Prediction and contributed to many other story collections herself, including Zombies vs. Unicorns, Kiss Me Deadly, and Enthralled. Her work has been translated into over eighteen languages and her first novel is in production as a major motion picture. Born and raised in Greenville, South Carolina, Carrie is a graduate of Williams College and Duke University School of Law. A former litigator, she now writes full time and lives in Charlotte, North Carolina. Visit her at CarrieRyan.com. "[T]he suspense that Ryan has created from the very first page on entices and tempts readers so that putting the book down is not an option."